ESPN’s “First Take” is one of the most popular sports shows on television. The show has undergone a major overhaul on all fronts in the last few months, from talent to programming content. At the helm of these efforts are two African-American men - David Roberts, Vice President of Audio Network Content and Antoine Lewis, Coordinating Producer. “When you bring on new people, it changes the chemistry both on air and off,” said Lewis who has been the coordinating producer for the past three years. In July, ESPN added Max Kellerman to round out the trio anchored by Stephen A. Smith and host Molly Qerim, following the departure of Skip Bayless to competitor FS1. First Take has been known to many longtime fans as ESPN2’s mainstay, providing weekday sports news and with a large dose of entertainment that no doubt is a direct product of the back and forth opinion driven format. The show made the transition from ESPN2 to ESPN with Roberts as a major force in the direction of the show. Since then, the show has integrated more coverage of major sporting events on the road including the college football playoffs, Super Bowl LI and the NBA All-Star Game in New Orleans. One such idea is Final Take, a new segment where talent offers their commentary on a topic of their choice. Lewis says it is the re-engineering of format such as this that has been one of the most rewarding parts of working with Roberts. 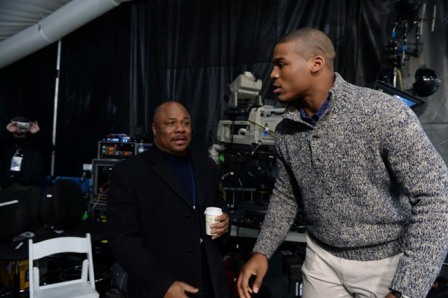 “You need someone to listen to the ideas and give you an opportunity to execute,” said Lewis. Both shared that it is not always such a seamless transition when shows are undergoing changes. There is one unique experience they agree has been a privilege in working together. 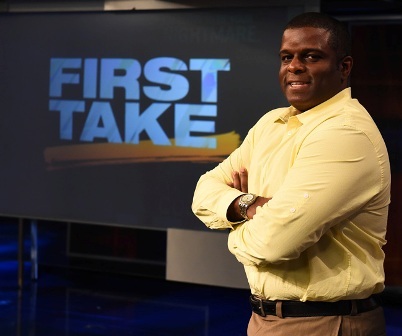 “It is a rare opportunity that I get to work with other black men of color in particular,” Roberts said, who has been the leader of First Take for the past six months. There has been an ongoing discussion and criticism about the lack of people of color in newsrooms in general. Both Roberts and Lewis come from longstanding careers in local television news. 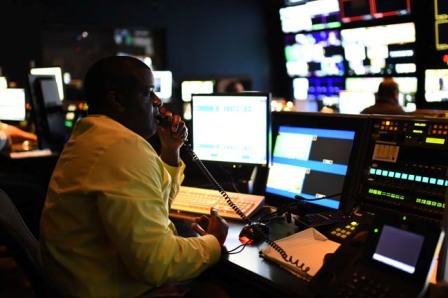 Roberts has 25 years of local news under his belt that include being the city of Atlanta’s first African-American news director for WXIA-TV in 1996. 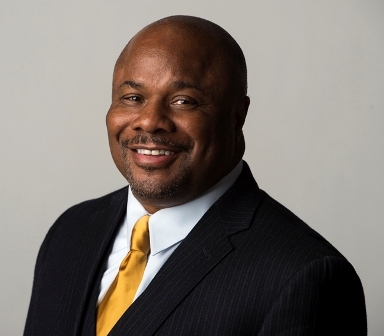 “The key point of my career is recognizing the need for more African-Americans in decision making roles,” said Roberts who joined ESPN in 2004 as a coordinating producer, working on ESPNEWS, SportsCenter and Baseball Tonight. In November 2013, Roberts was named Vice President, ESPN Audio Network Content. ESPN is reflective of the average newsroom in many ways, but the company has shown some level of commitment to placing people from diverse backgrounds in positions of power and leadership. In the ever-changing landscape of media that lends itself to innovation and forward thinking, both impressed upon the willingness to adapt and be malleable. “People have multiple choices on how they receive content now, so it is critical that any talent is able to cross over between platforms to make sure that they are reaching consumers at some level,” said Roberts. First Take airs Monday thru Friday from 10a.m. to 12 noon on ESPN.